People looking to know what’s happening in and around the world, people looking to share their views or wisdom, and even those looking to connect with others from across the globe, all flock to just one place these days – Twitter. With more than 300 million active users and over 120,000 tweets sent every second, Twitter promises a massive opportunity to businesses looking to reach beyond boundaries and connect with their target audiences, generate high-quality, sales-ready leads and boost their brand in the ever-so-competitive and ever-so-chaotic market. 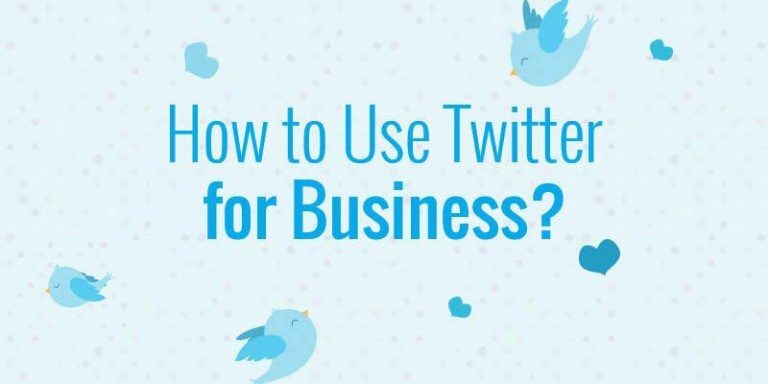 Whether you manage an ecommerce site, run a SAAS service, or own a brick and mortar business, a solid, persuasive presence on Twitter is a must! But with so many companies already trying to level the playing field, it’s no longer enough that you have a presence on Twitter. You’ve got to battle it out with other sites, other Twitter Pages, other twitter feeds, as well. The rule of this game is simple: you’ve got to get—and hold—the attention of your target audience. Or hold it long enough until they’ve followed you on the platform. But it isn’t as simple as it sounds! You’ll need to get introduced to features hashtags, Twitter Ads, etc. and leverage the knowledge strategically to make your audiences want to know more about your brand, want to stay. Check out the Infographic below…. …and adapt the information to drive more traffic, generate more leads and attract more sales.